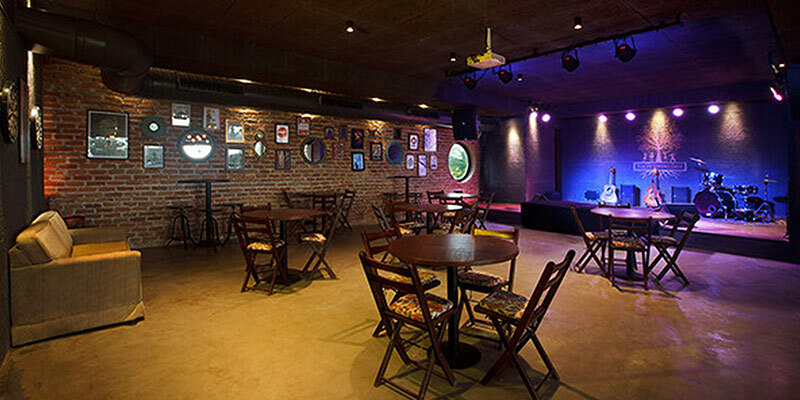 These are some of the unique restaurants, bars, and cafes in Bangalore. They are different in terms of how they serve the food, where they serve and what they serve. Some are themed like rain forests, a pirate ship with chairs like rib cages! It’s all there even for the bookworms that can’t have coffee without a book on the other hand and the other way around! 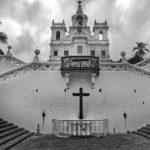 The silicon valley of India has a chest of unique and strange places to keep its techies interested and shackled to this city! Looking for some new places to eat then look no further. 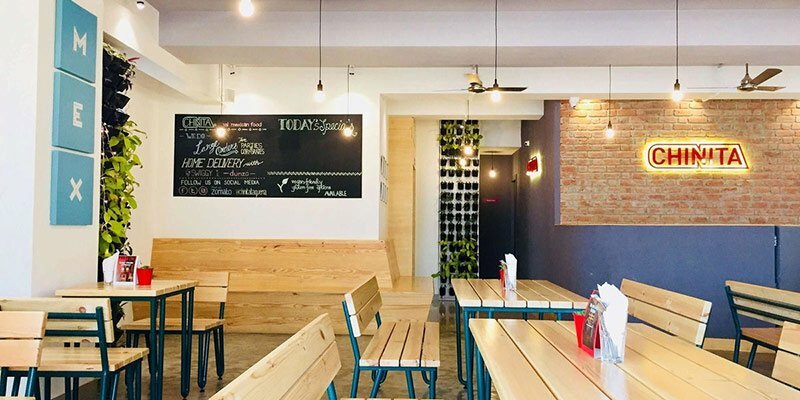 Here we have curated a list of some Unique and Cool Bangalore Restaurants. Want to have some lip-smacking Mexican food, Chitina is the place for you. It is famous for its authentic Mexican food (and not the desi version of it!). Chinita has a great ambiance to hang out with your gang. From spicy chocolate cake to burrito bowls, this place has it all. Don’t forget to try the Almond Horchata, which is the traditional Mexican beverage. One visit to this place and you will be coming back for more. Location: 25, 5th Cross Rd, 5th Block, Koramangala, Bengaluru. 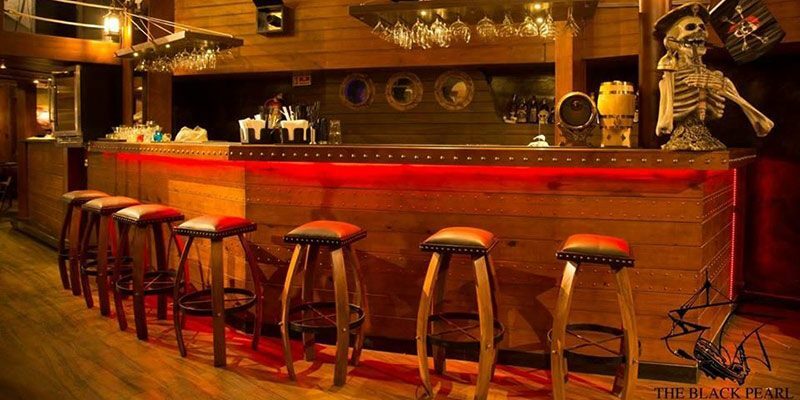 With chairs that look like rib cages, spooky bartenders, pirate-themed interior this place reminds us of the famous Black Pearl of Jack Sparrow. On the other hand they some scrumptious, delicious, toothsome dishes you can find in this city. Enjoy all those delicacies arguing which movie is the best in the franchise and laugh over the witty dialogues of Captain Jack Sparrow. Enjoy all those delicacies arguing which movie is the best in the franchise and laugh over the witty dialogues of Captain Sparrow. Burma Burma is an authentic vegetarian restaurant. It serves a combination of Chinese, Indian and Thai cuisines. Each dish is unique and adds a twist to the traditional vegetarian recipes. Some of the dishes include Samosa soup, lotus stem crisps, steamed buns. Their signature dishes Oh no Khow Suey, Mandalay Meeshay, Tayat Thi Thoke, Tagu Pyi An are a must try. 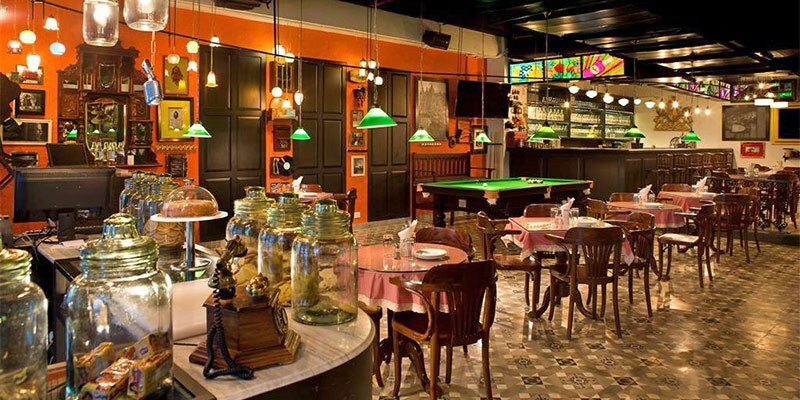 It has a great ambiance and the interiors are decorated with little Burman souvenirs. They also have options for vegan food lovers. This place is pretty packed and you might have to wait for your turn but will be totally worth it. Location: HAL 2nd Stage, Indiranagar, Bangalore. Yogisthaan is very different from the other restaurants on this list. It has a peaceful atmosphere and is usually less crowded. The food options are quite healthy and can also be used as a detox as well. They have medicinal teas, organic coffee, fresh salads and juices and much more. The decor is creative and gives a positive vibe. People can take advantage of this calm place to get some work done or read a book or even take a nap of the hammock. 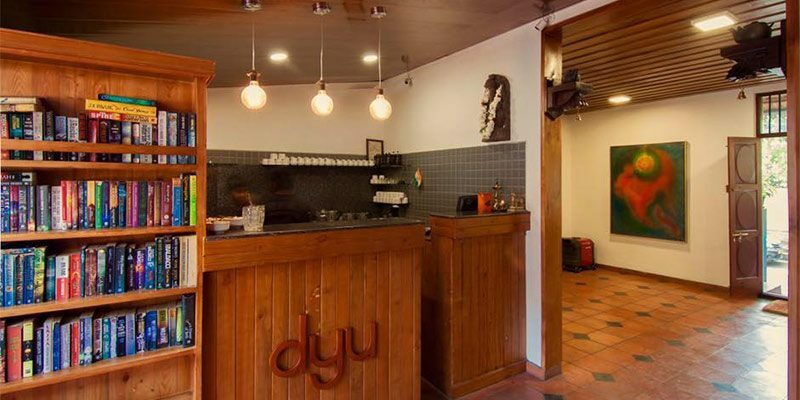 This place also conducts yoga classes, they have an organic shop which sells a variety of organic food items, and if you really like the place you can also book a room to stay over. This cafe is totally worth a visit. Location: Near BDA Complex, Off Double Road, Indiranagar, Bangalore. A perfect place to hang out with your Amigos from your cartel! Mexican food at a Mexican themed restaurant, what more can we ask for!! 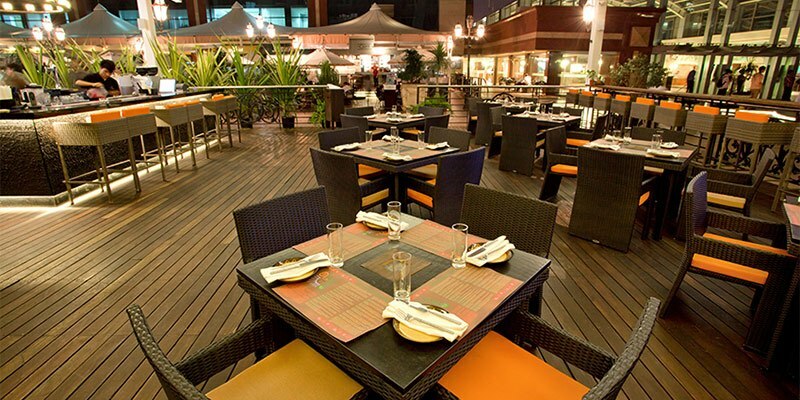 With the menu specially curated by Chef Vikas Seth, this place provides a lot of unique options to choose from. They even have live guacamole making session. All this with a retro music and the dim lit atmosphere there’s little or nothing wrong with this place. Serving authentic Mexican food Sanches takes the name and theme very seriously. There is a lot to choose from tacos, burritos, enchiladas, chimichangas and so much more. Oh and make sure to book your table in advance because this place is pretty packed. Mediterranean-style shutters with window boxes, rows of charming retail fronts, and a large space for performances and open markets, 153 Biere Street found the spot in this list without a second thought. Good locally brewed beers live music and one of the best pizzas you can find in this city! Want to have some authentic Asian cuisines, then Hae Kum Gang is the perfect place to start. 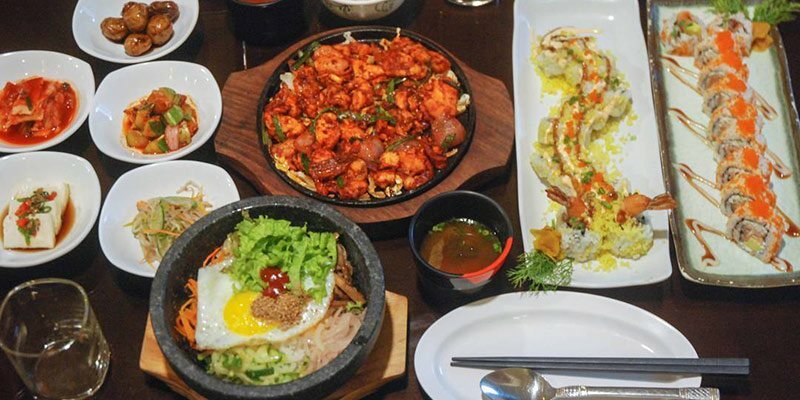 This restaurant serves a little ‘too’ authentic Korean, Chinese and Japanese cuisines all under one roof. 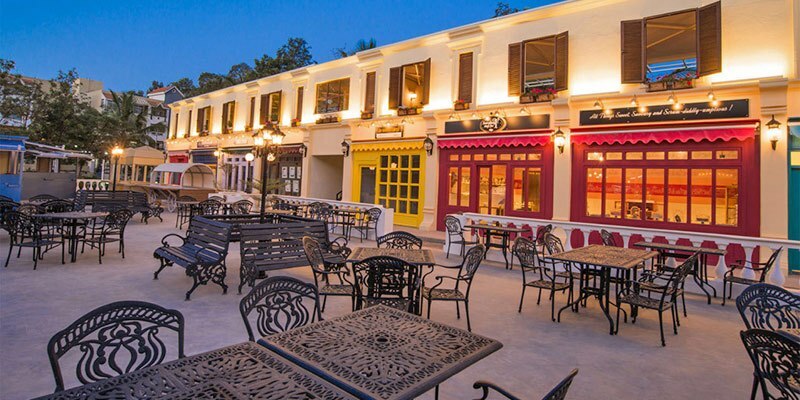 People who have been here have loved this place and recommend it for all those who miss their ‘Ghar Ka Khana’. The food here is great and the atmosphere is homely and simple which is a great combination to have a pleasant experience. Quirky, nice Iranian cafe on Lavelle road. 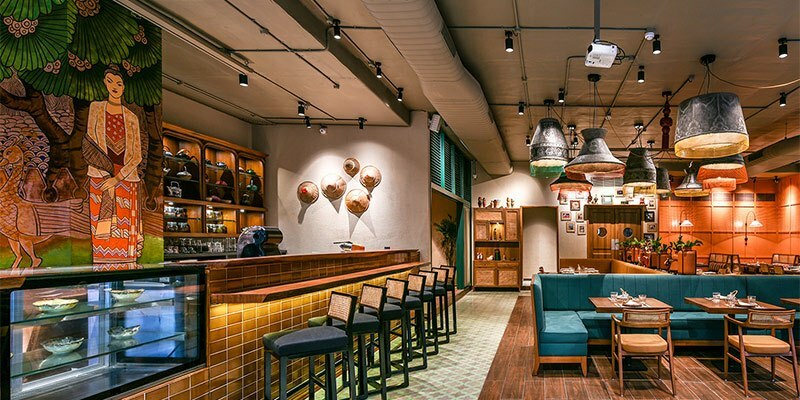 For the Mumbaikars who are suffering from Nostalgia the Parsi delicacies, Bombay street food, and the Parsi themed ambiance will prove to be the best cure. Kanda Bhajiya, Berry Pulao, Kulfi, Brownie Chocolate, Crispy Okra, Keema Pav, Ginger Biscuit all these are the loyal subjects of Soda Bottle Openerwala who are destined to give a good time for your taste buds. With a book in one hand and hot coffee in the other, this place is filled with book lovers. 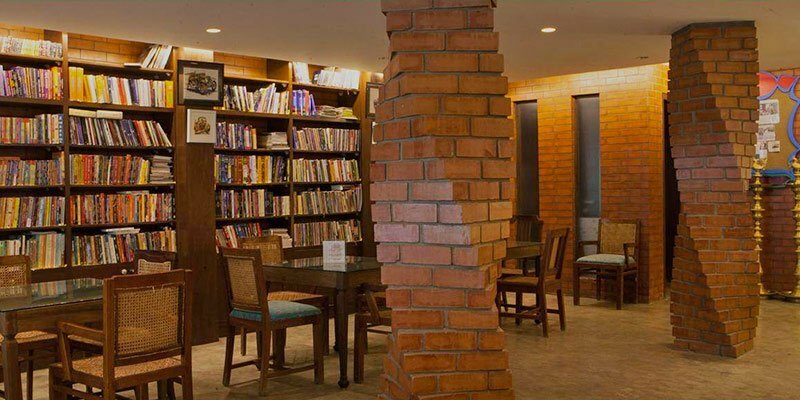 Atta Galatta is a book cafe which offers a calm and peaceful atmosphere to unwind. This place offers a variety of coffee and delicious baked food and also lots and lots of books. Occasionally there are books reading events that you can be a part of. With a value for the money, Atta Galatta is a perfect place for self-study, discussions and some lone time from the noisy outside. This is one is for the souls who love the smell of new pages and hot coffee! One step inside this cafe you will be in Pondicherry! The ambiance of a traditional south Indian house gives it a very serious and classical feel. Open courtyards, wooden interiors, cemented seats remind us of old houses. Not just that, they serve the best coffee and delicious food. This place occasionally hosts painting exhibition as well. Nice quiet, calm place serving decent food in a great atmosphere. They say the pizzas in here are great so is the melted tuna sandwich. 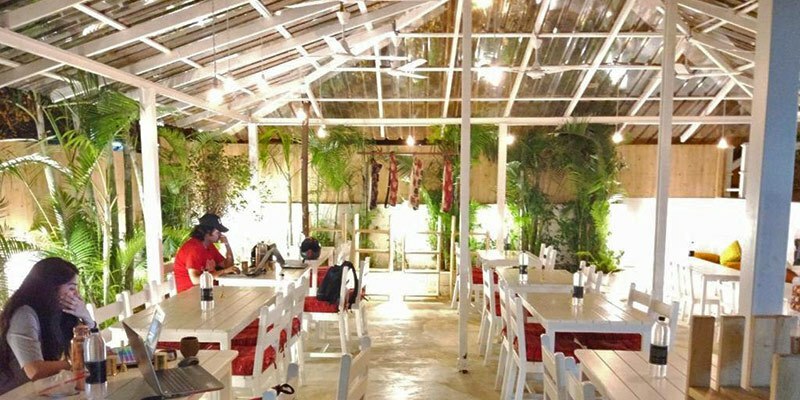 Take a look at the Zomato ratings of this place and ambiance is all you can see, whoever went there seem to have fallen in love with this place. Treat yourself to some delicious Thai food at the Thai house located in Indiranagar. 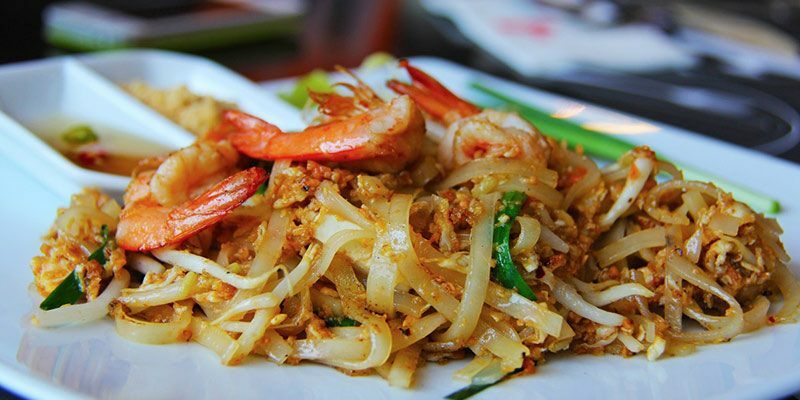 Exclusive Thai food with a mix of flavors makes you savor every bite. This little, cozy place with dim lights is a great option for a romantic dinner. The prices are a bit expensive but the food quality is great and is totally worth the money. A wise person once said if it feels good for the Tongue How can it feel bad for the Tummy! Sounds stupid right? How come this person can be called a wise person but after knowing about all these places I am with him.